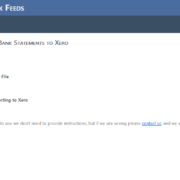 Unfortunately in Ireland we don’t have many banks supporting feeds into Xero so must import the files manually as CSV. the error “There was a problem importing the file” I have found that changing the format of the date into DD/MM/YY in your CSV file in excel can fix the error. Online accounting is free to upgrade: If you use a desktop solution you will often be required to pay for upgrades. No server costs: Unlike desktop software, online accounting run’s on the vendor’s server so you save the cost of running and maintaining your own server. Reduced accounting costs : As accountants we spend a lot less time working on our online accounting clients tax returns compared to traditional clients , their books and records are generally cleaner and far easier to access. Our time savings are passed onto our clients in the form of reduced accounting costs. Reduced data entry / book keeping cost: If you use traditional accounting software you will have to spend time entering bank transactions into the software, With Xero online accounting we can import your bank statements saving costs. If your using Xero and you notice that the bank reconciliation button has disappeared this simply means that all transactions have been reconciled. One of the great things about using an online accounting package like Xero is the time you can save. There’s still certain points in everyones business where manual data entry is required. One of these points is raising sales invoices. Use the copy function– A lot of small businesses issue the same or similar invoice every month. 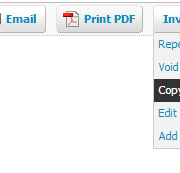 By using the copy function data entry time can be saved. 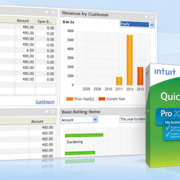 If you are currently using Quickbooks or another desktop software package and would like to import your data into Xero we can help. With our partners we have developed a script which will convert your data into a file which can be easily imported into Xero. This process can save your business time and money whilst minimizing the disruption of changing software packages. One of my clients has grown impatient of waiting for Yodlee to set up bank feeds for his AIB business account; So he has developed his own tool to convert .csv files downloaded from AIB’s business banking into .csv files which can be uploaded into Xero. I’ve been very lazy with blogging over the last few weeks for a variety of reasons but I will now make an effort again. Firstly Xero is going to be offline tomorrow 13/02/2011 Irish Time 16:00 for two hours. Phew.todays release is one of the biggest weve done and has some of your most requested features. Santas come early! 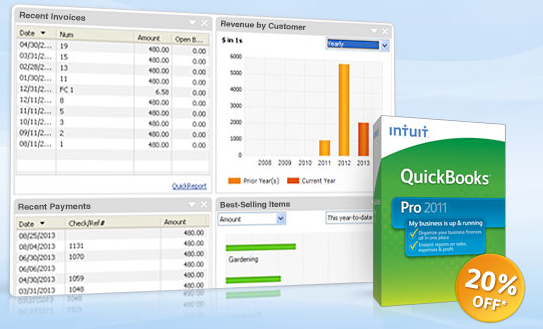 Theres quite a bit to take in as youll see, but lets start with customizing your invoices. You may remember in June we introduced invoice branding to let you personalize your invoices and statements with different themes. Now weve added a new type of theme that lets you take complete control of the layout by uploading your own Microsoft Word templates. You can do things like add a packing slip to your invoice, write in any language and add style with color and images. Watch this video to see the magic. Bulk Emailing statements or invoices This makes chasing up overdue invoices and sending regular statements even easier. Detailed Account Transaction Report Select any period and review all your transactions in one place. Double check everything is correct before closing off a period or preparing reports. Edit Manual Journals Flexibility to fully edit manual journals with a complete audit trail to track your changes. US Date Entry US date formats are now accepted, just select United States as the country on your profile and you can enter dates in the right format. API Updates You can now return manual journals, set the branding theme on submitted invoices and allow custom URLs to be attached to invoices. Check out our latestdeveloper update for more details. UK VAT Rate Change Weve got this covered for 4 January 2011. NZ Differential Annual Reporting helping accountants to produce annual reports for clients qualifying for differential reporting. Next step is to release similar functionality for Australia and the UK. Its been another huge year and weve got lots of exciting things planned for 2011. To find out more about this release, see ourreleasenotes.